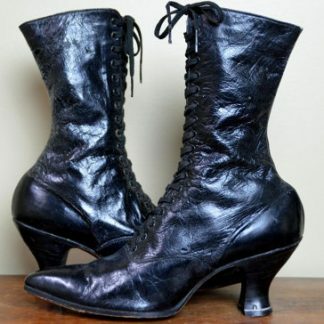 Just look at the shape of these vintage Victorian boots. They don’t make them like this anymore, and these have certainly seen some life. One can only wonder about the stories these boots could tell. Very characterful indeed. 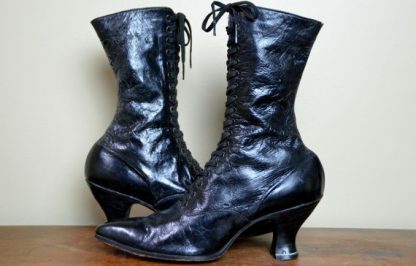 Pure black ankle boots by New Rock. 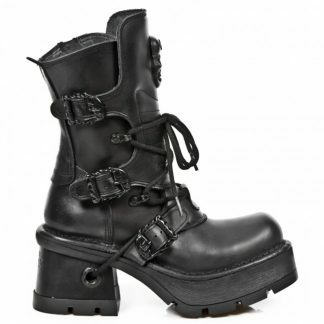 Not only are these boots stunning with all black hardware, they will add a few inches to your height, too. New Rocks are made from high quality, supple leather that lasts. 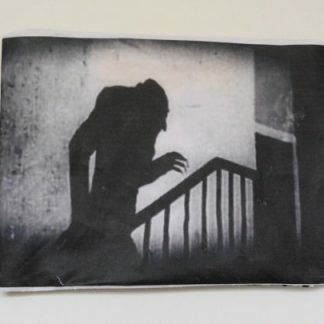 A great investment for any goth. 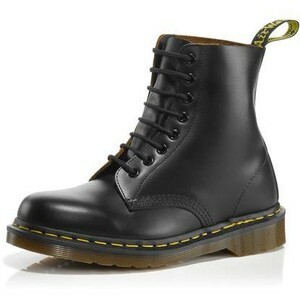 The iconic black boots from Dr Martens. Handcrafted in England from quilon leather, these timeless classics can be dressed up or down. Sturdy enough to get up to all manner of things, including running away from life. Who wouldn’t want to wear this….it’s just stunning. 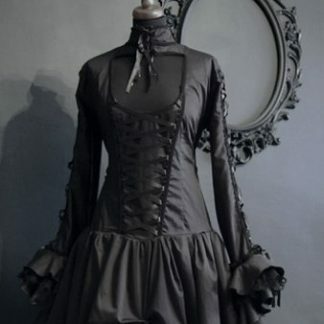 A gothic dream of a dress.